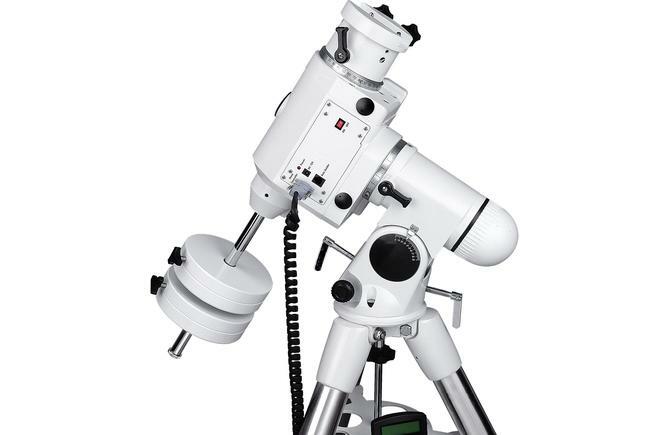 The Mak-Newtonian equipped with EQ6 SynScan is a great option for pro astrophotographers and serious visual observers. The Mak-Newtonian design provides large aperture apochromatic performance with exceptional field correction in a compact, affordable package. Compared to a similarly sized Schmidt-Newtonian, the Mak-Newtonian yields a sharper and more contrasty image. Naturally, the Mak-Newtonian is an excellent visual performer, too. 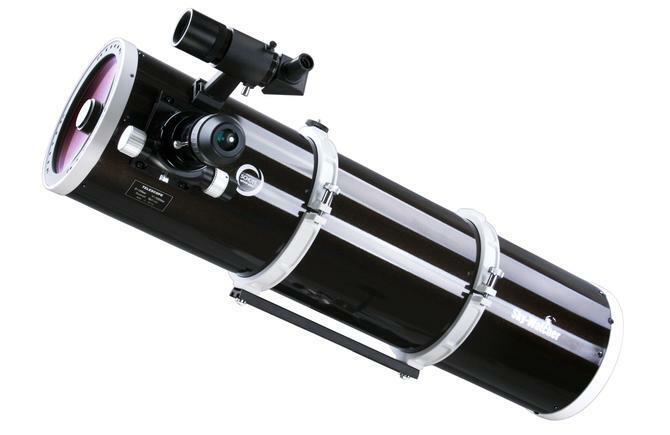 Sky-Watcher Maksutov-Newtonian Series benefit from the inclusion of Schott glass being used for the positive front Crown element in the objective. Schott is the recognized world leader in glass utilized for precision optical lens systems, including medical instrumentation, and famous-brand camera lenses. Optical focus is achieved by means of a mechanically ultra-smooth, backlash-free, precision 2” Crayford focuser-assembly. This focuser offers fine and ultra-fine focusing adjustments. Large 64mm secondary mirror increases field illumination for optimal use with larger CCDs. Secondary mirror obstruction by diameter​ 34% and secondary mirror obstruction by area 11%.